At Bob Moore Auto Group our #1 priority is you! That’s why we’re adding more and more FAQ every day – to help ensure that you have all the information you need before you ever make it to the showroom! The Manufacturer’s Suggested Retail Price is the recommended selling price set by the manufacturer. How do I know if I qualify for any rebates? Customer Rebates that apply to everyone. Loyalty Rebates for customers who currently own same specific makes (year models may designate if a vehicle qualifies or not). Conquest Rebates for buyers switching from a competitive brand. Rebates for recent college graduates. Rebates for Active Duty Military and First Responders. Rebates for Financing or Leasing with specific lender (some example would be Nissan, Infiniti, Audi, GMAC (Ally). You can find specific rebates by manufacturer or contact your Bob Moore sales consultant to ask specifically what rebates you may qualify for. Our monthly specials can be found here. Is the price listed the lowest price available? At Bob Moore, we provide upfront market based pricing on all vehicles. When you have found a vehicle on our website that interests you Click the “Get VIP Price” to see your VIP price. How do I know how much my tag, tax, title and license will be? This is a question that we leave for the experts at the Oklahoma Tax Commission to explain. Click to go to the Oklahoma Government site. First payments can vary from 30 days to as far out as 45 days to accommodate what date works best for your budget. In some instances, banks will run specials where the first payment can be deferred longer. Please ask your Bob Moore sales consultant for specific details. Variables such as credit information, year of vehicle, and mileage of vehicle can affect the length of financing. Bob Moore Auto Group has built a fantastic portfolio more than 50 lending institutions to find the best options for you. Guaranteed Asset Protection, or GAP, protects your investment in the event of a total loss. It will pay the difference in what you owe and what the vehicle’s actual value is. Why would I need an additional warranty? Like all machines, your vehicle may eventually need repairs that are no longer covered under your factory warranty. The benefit of having an extended warranty is to protect your investment from specific mechanical failures. Be sure to ask your finance manager what extended warranty will be the best fit based on your driving habits and your average length of ownership. When it comes to buying or leasing a vehicle the options can be confusing. To help you make an informed decision we have provided some information below to help in the decision process. When you lease the new or used car, you pay for only a portion of the vehicle’s cost, which is the part you use during the time you are driving. Whether you pay for the car with cash or finance it and make monthly payments, either way it’s yours. Of course, if you’re financing it, you’ll have to meet your agreed obligations that the lender requires until all payments are made or it is paid in full. What will the future value of my vehicle be? Your vehicle will be worth whatever you can sell it for in the future and that depends on how well you maintain it. Be smart and protect your investment with regular scheduled maintenance by a factory-authorized facility! If I purchase a vehicle and pay off early are there any additional fees? On any conventional purchase with Bob Moore, all retail purchases are simple-interest contracts that do not have any pre-payment penalties. What happens when I pay off my vehicle? Once you’ve paid off what you owe on your contract, that’s it. Your vehicle is 100% yours. The lending institution will send you a Lien Release as proof that the vehicle is paid IN FULL. You do not own the car when you lease. You’re paying for the use of the vehicle, the finance institution that you leased it through owns the vehicle. This is one of the reasons why you pay less per month, than if you were to purchase the vehicle. What are my up-front costs on a lease? Typically on a lease they do not require any cash down payment. Due at signing is the first month’s payment, a security deposit or acquisition fee and your tag title and licensing. These items may also be rolled into the initial amount financed. As with a purchase, if you want to lower your monthly payment you can add a down payment to the purchase. What is the future value of my vehicle when I lease? When you lease, since you don’t own the vehicle, the bank determines the future value of the vehicle. When you agree to the terms of the lease contract the future value of the vehicle is called the residual. At the end of the term of the contract you have the option to purchase the vehicle for that amount, turn the vehicle in (as long as you meet all the requirements of the lease contract) or trade the vehicle in, in some instances this may be beneficial to you if the residual is less than the actual value of the vehicle. Most people return the vehicle at the end of the lease term. But some like to purchase it during their lease or at the end. Others like to trade it in before their lease is over. Ask your sales consultant for these different options before turning your vehicle in and we will make sure we select the best option to meet your needs. What is ADP or dealer doc fee? This is a documentation fee that covers all paperwork and processing involved in the car deal. Do you sell vehicles out of state? Do I need to have money for a down payment? Typically, a down payment is not required but this is all dependent on credit history and payment terms you desire. I don’t have the greatest credit, can I still purchase a vehicle? Yes, to determine best case scenario, please fill out a credit application, our finance professionals will work with lending institutions to get you approved on the best vehicle that meets your needs. How do I know how much my trade-in is worth? Use our value your trade tool to give you an idea of how much you can expect for your trade. What do I need to bring with me when I am ready to purchase and/or trade-in a vehicle? Please bring a valid driver’s license, current insurance card, title to trade-in, and a lien release if we are not making the payoff for you. It’s a good idea to service your vehicle once every year, even if you don’t put many miles on it. If you drive your vehicle on a daily basis, consult your owner’s manual for service schedule recommendations. Service schedules for different makes and models may vary. Do I need to make an appointment for servicing my vehicle? Scheduling an appointment is not necessary, although could be helpful for shorter wait times. If you’re hoping to receive alternative transportation, such as a loaner vehicle, scheduling an appointment is best. What is the cost to maintain my vehicle? Vehicle maintenance costs vary depending on which make and model you drive. The model year could also affect the cost to maintain your vehicle. Can I get transportation from the dealership while my vehicle is being serviced? Yes. Transportation from the dealership can be arranged for drivers who schedule an appointment. Or, if you haven’t scheduled an appointment, we may be able to get you an UBER. Who do I call if my vehicle breaks down? If you experience a breakdown and your vehicle is under warranty, you can call the number for roadside assistance, located in your owner’s manual. If your vehicle is not under warranty, you can call the dealership and we will recommend a towing service. What is an extended service contract and when/how can I purchase one? An extended service contract is an additional form of coverage that you can purchase to cover factory repairs, even after your warranty has expired. An extended service contract typically covers mechanical breakdowns, not including interior or maintenance items. Extended service contracts can be purchased from a service advisor or a finance department representative. Choosing the body shop where your vehicle will be repaired is an important decision, you have the right to make that decision. Not all shops are alike, however, when it comes to having properly trained technicians and the equipment and facilities needed to fix your vehicle right, so making a well-informed choice is key. Repair time, also known in the industry as “cycle time,” or how long your car will be in the body shop, is determined by a number of factors, not the least of which is the severity, nature and extent of the damage. What is the process for receiving and estimate on repairs? Call or come by the Collision Center to schedule your free estimate. Schedule your appointment online for an estimate. DIRECT REPAIR PROGRAM – A common practice in the collision repair industry whereby an insurance company and a collision repair shop have a contractual agreement that establishes business rules, repair parameters, and standardized procedures such as billing practices and record keeping. How much is my deductible and how do I pay it? The amount of costs you pay after an accident. Once you’ve paid the deductible, the insurance company pays the rest of the costs, up to the amount specified in your policy. Do you have rental cars available while my vehicle is being repaired? Enterprise Rental has an office located in our building for your convenience if a rental is needed. Rental vehicles are available onsite. 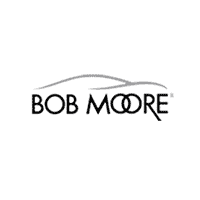 Visit A Bob Moore Auto Group Location Today! If you didn’t see your question answered, then feel free to fill out the form and ask it! Whether you’re from Oklahoma City, Tulsa or Norman Oklahoma, you’re our #1 priority and we show it every day with great low prices, excellent customer service and a buying experience you’ll never have anywhere else! Don’t take our word for it! Get to a Bob Moore location today and see for yourself!